Significant rain areas on Tuesday afternoon/evening are forecast to develop with moderate to fresh and gusty N to NE winds ahead of SW change. 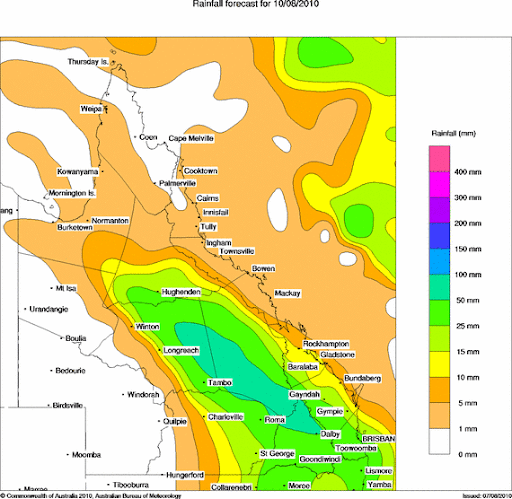 The current extended forecast from the Bureau of Meteorology predicts an upper trough should cause significant rain areas to develop over the central and eastern parts of the state . The rain should start inland at first, and then move eastwards to reach the coastal districts later in the day. Moderate to fresh and gusty N to NE winds over eastern districts ahead of a SW change moving eastwards across the state. 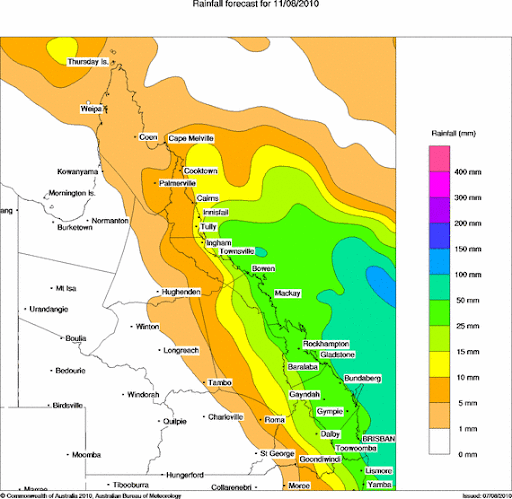 Additionally, the computer generated Rainfall Forecast maps also predict significant falls for most of the state, with the south-east corner expecting 25-50mm on Tuesday alone, with the possibility of up 50-100mm on Wednesday for the Gold Coast. The extended forecast for Wednesday will see the upper trough will move east across the state, with the cloud and rain band over eastern districts clearing during the morning. 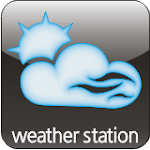 In the wake of the cloud and rain band, cooler and drier S to SW winds should again spread across the state due to a new high pressure system moving eastwards across the Great Australian Bight. As always, these are only forecasts and the situation may change. However until then, the south-east corner gets to shiver over another cold night, with inland areas going down to -2 degrees at Ipswich, but staying warmer near the coasts with minimum temps of 9 degrees for the Gold Coast warming to a beautiful fine day with an expected top of 23.